Picking a new faucet can be a challenge, Sunset Granite is the design pro to help you make the perfect choice. 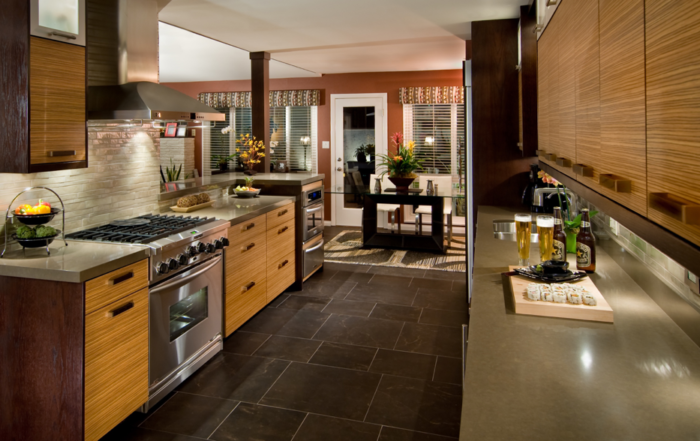 We have a few pointers to give you the basics on how to begin, particularly if you want a designer kitchen or custom bathroom. The function and utility of your kitchen or bathroom faucet goes far beyond just dispensing hot and cold water. Designs today give a range of styles, from elegant and modern to farmhouse and Victorian. The most recently designed styles often feature clean and simple lines. 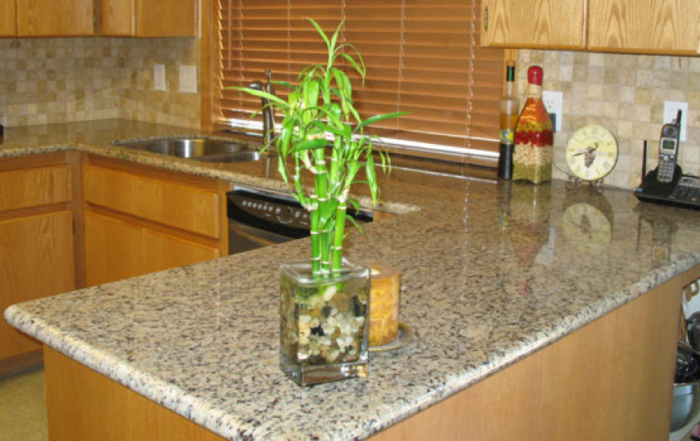 We suggest that you design around your countertops or cabinets rather that around a faucet. We carry or can acquire a large array of styles of faucets to best fit the look of your countertop. Offered in either a single or double handled style, the bathroom faucets that we carry come in four distinct finishes. We carry well priced faucets for just about any budget. The faucet that you choose will need to match the current number of holes available for installation on your bathroom countertop. We can also drill new ones when needed and if possible. Kitchen faucets, unlike bathroom faucets, are better defined by the features and profile. The way we define this is whether it requires one, three or four holes in the sink. This defines the configuration by showing whether the faucet is just a faucet or if it has a sprayer head built in as in the single hole types. The three hole types allow for a faucet arm with a standard head, and a knob for each of hot and cold. These are general ideas for the uses and types as there are variations within the three hole styles. The four hole models allow for a hot/cold knob, the faucet arm, a separate sprayer, and a soap dispenser. A plating is applied to a solid cast bronze form to give the final product an ultra-high, mirror finish that will give the appearance of a bright silver. Chrome is a very hard substance that will wear well and won’t have to be replaced for years. No oxidation will occur on the surface of the chrome and wiping with a bleach solution and a paper towel or cloth will keep it clean. Rubbing oil onto bronze evokes a rich warm dark brown patina to the metal’s surface. This is an excellent match for PentalQuartz or granite products that have deep brown undertones or features within them. A permanent coloration on a bronze cast product has a very dark finish that is almost black. Antique bronze is similar to oil-rubbed bronze but quite a bit darker. If you’re looking for the type of finish that is clean and texturally smooth, then brushed nickel is an excellent choice. A finish covers the faucet that looks like a gentle steel wool was rubbed over the entire surface. For those who aren’t a big fan of chrome plating and want a light metal finish, you will enjoy the soft warm color of this metal’s tone.